Harry Tabor is about to be named Man of the Decade, a distinction that feels like the culmination of a life well lived. Gathering together in Palm Springs for the celebration are his wife, Roma, a distinguished child psychologist, and their children: Phoebe, a high-powered attorney; Camille, a brilliant social anthropologist; and Simon, a big-firm lawyer, who brings his glamorous wife and two young daughters. But immediately, cracks begin to appear in this smooth facade: Simon hasn’t been sleeping through the night, Camille can’t decide what to do with her life, and Phoebe is a little too cagey about her new boyfriend. Roma knows her children are hiding things. What she doesn’t know, what none of them know, is that Harry is suddenly haunted by the long-buried secret that drove him, decades ago, to relocate his young family to the California desert. As the ceremony nears, the family members are forced to confront the falsehoods upon which their lives are built. 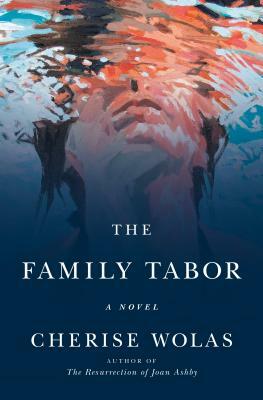 Set over the course of a single weekend, and deftly alternating between the five Tabors, this provocative, gorgeously rendered novel, reckons with the nature of the stories we tell ourselves and our family and the price we pay for second chances.